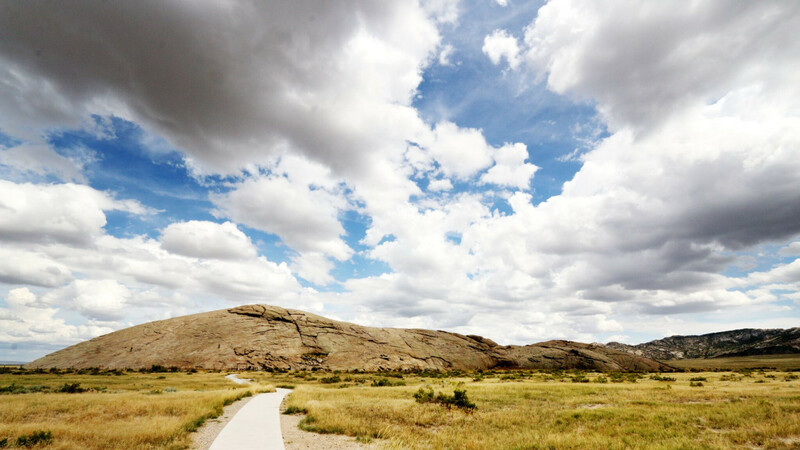 Known as the "Register of the Desert," Independence Rock was a key landmark for pioneers as they picked their way across the American frontier. Hundreds of names have been carved into the hard stone over the years. Travelers of the Oregon Trail raced to reach Independence Rock by the fourth of July when a giant celebration was held each year. The rock was named by William Sublette in 1830 in honor of the birth date of the United States. Arriving at this location by the fourth of July assured the the wagon trains would make it through the Rockies before winter. The rock was also important to Native American cultures. 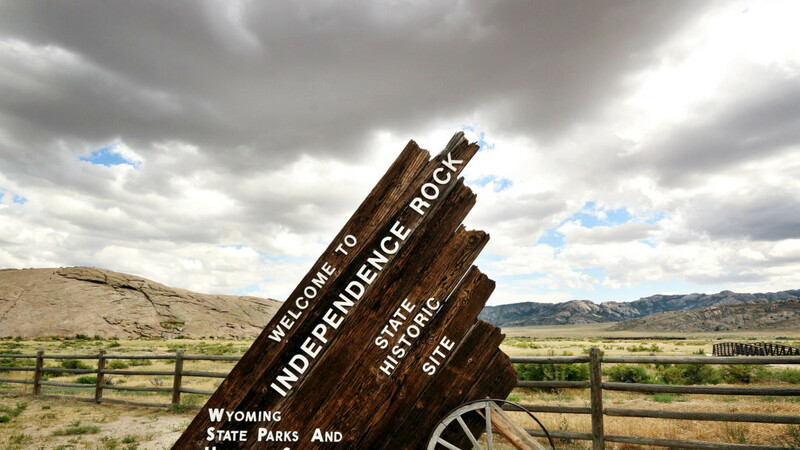 Independence Rock is located on Hwy. 220, 55 miles southwest of Casper. 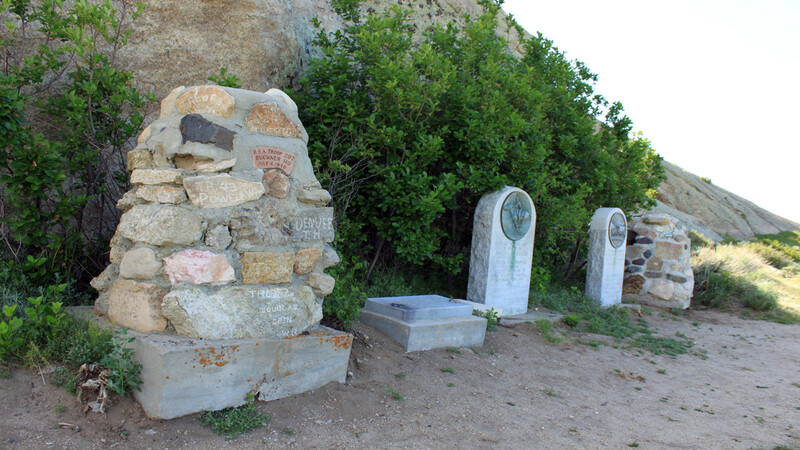 Visitors can explore the dome-shaped rock and mull over the hundreds of names carved by past travelers along the California, Mormon, Oregon and Pony Express Trails. 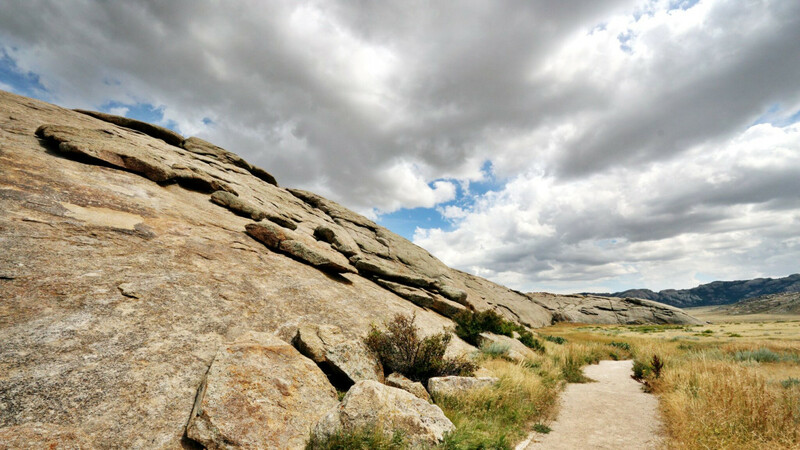 The trail around Independence Rock is roughly a mile long. There is no camping at this historic site.